SHENYANG, CHINA—Public space is shrinking in China for discussion of “Western” views. But “contrary to the general crackdown, North Korea policy seems to be an exception,” a U.S. diplomat told me on my recent trip to China. One hears plenty of criticism of Pyongyang. Even official Beijing’s unhappiness with the Democratic People’s Republic of Korea is evident, though China continues to bankroll the Kim Jong-un regime. It’s a position some Chinese would like to change, including a scholar in Shenyang, a couple hours away from the Yalu by car. Second is economic development. “China insists on reform of the whole economic and political system,” explained my friend. Beijing’s objective is to “transform North Korea.” The DPRK government fears such change. The fourth concern is refugees. “Many North Koreans have fled to this part of China,” he said, forcing Beijing to “think about how to deal with the issue.” So far, the People’s Republic of China has returned refugees when caught, sparking sustained international criticism. In his view the U.S. and PRC should focus on solving these matters: “China and the USA have a common understanding greater than their disagreement.” Most important, “if China and America do not go to war then there is no chance that a war will happen” in the region. He also hoped the PRC and U.S. together would pressure the North. He admitted that “China has its own interests and cares about its national security.” But “China would be a direct victim of ” a nuclear North. Pyongyang could use an atomic bomb in war. Moreover, “the experimental parts of the program are near” the border with China. What to do? There should be dialogue “among the three countries.” Beijing and Washington need to demonstrate that there isn’t “any gap, any room” between them that would allow Pyongyang to develop nuclear weapons. If these steps failed, at that point “we should know the way.” When asked to explain further, he said “I wouldn’t say it out loud, but Israel would know how to do it.” That is, military action. He didn’t explain whether he envisioned Chinese cooperation in or merely acquiescence to a U.S. strike. But he believed extreme measures could be justified. What would the Chinese government think of his idea? He admitted that the perspective was his own, not that of Beijing. However, if the three steps were followed, beginning with negotiation, then he believed Beijing might “follow his suggestions.” He believed the severity of the threat would drive policy. 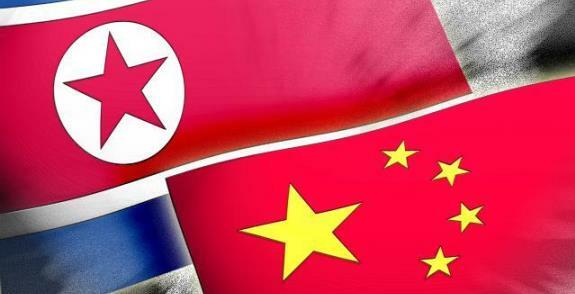 Although there’s no evidence that Beijing government is about to adopt my friend’s proposals, Chinese attachment to North Korea continues to drain away. While Beijing continues to prop up the Kim dynasty, it does so without enthusiasm. That creates an opportunity for Washington to persuade the PRC to change policy. My friend’s proposal offers a possible blueprint: talk with Beijing, address its problems, and suggest a common program. This strategy would offer at least a hope of change. Doug Bandow is a Senior Fellow at the Cato Institute. A former Special Assistant to President Ronald Reagan, he is the author of several books, including Foreign Follies: America’s New Global Empire.